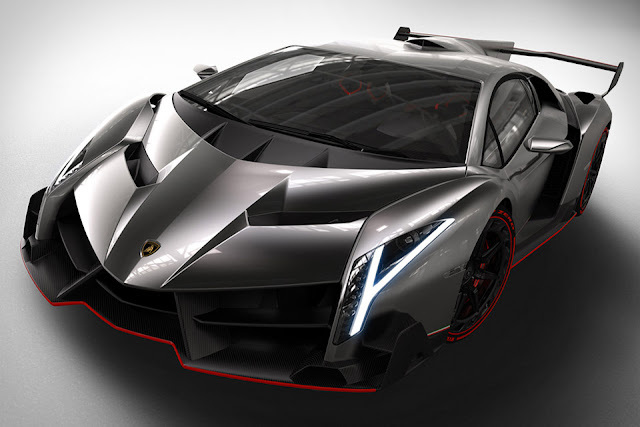 If Lambo's most recent designs have been a bit too conservative for your taste, say hello to the Lamborghini Veneno ($4.6 million). Created for the supercar maker's 50th anniversary, it's reportedly based on the Aventador platform, with a 740 horsepower 6.5 liter V12, a seven-speed transmission, a top speed of 220 mph, and a 0-62 time under three seconds. Outside, however, it's totally new, with a hyper-aggressive design that has more fins, flaps, and wings than a fighter jet. The only problem, apart from the price? Only three are being made, and they're all already accounted for.